At the end of June last year the Federal Aviation Administration (FAA) implemented significant changes to the regulations and rules governing use in the US of unmanned aircraft systems (UAS), more commonly referred to as ‘drones‘. This regulatory review was of particular interest to Oncam as we explore the opportunities to provide 360-degree cameras to drone manufacturers so they can offer additional security measures during large events. Commercial drone operations, such as the use of tethered drones, promote safety and security by allowing aerial coverage of high-attendance events such as sporting events, marathons, protests, parades and festivals. Tethered drones use a small wire extending up to 500 feet that connects the drone to the ground. The advantages of a tethered drone as opposed to a wireless drone is a constant connection to a power source, providing no limitations on the length of time the drone can stay in the air. This type of tethering technology can also provide greater bandwidth and, with that, much better video quality compared to wireless drones. Previous regulations burdened commercial drone users with strict restrictions on use and operability. Section 333 of the FAA Modernization and Reform Act of 2012 required special authority to operate UAS. New rules introduced in June under Part 107 enable the use of commercial drones without having to apply for a 333 exemption, thus streamlining the waiver process. Under Part 107, requirements for commercial drone flights are greatly reduced. Operators must now pass an aeronautical knowledge test and a background check to earn a remote pilot certificate. Although the FAA is demonstrating increased flexibility than traditional safety rules, with an influx of waiver requests, the agency will be forced to explore and define safety issues. Many in the industry still criticize the lack of changes to the beyond-visual-line-of-sight drone regulations, voicing their discontent for ineffective restrictions on long-distance usage. The FAA remains concerned by risks posed by weather conditions, airspace and manned aircrafts, and location of people. 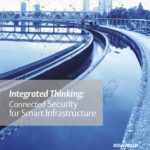 Many security manufacturers are embracing advancements in drone surveillance capabilities as a means to grow situational awareness and safety for events, offering safe city applications for police departments and security personnel. 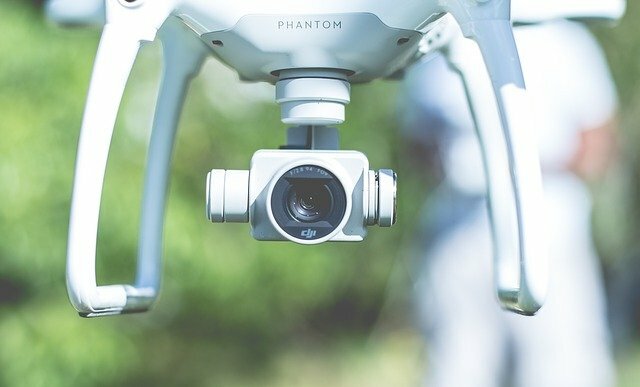 Why tethered drones are a boon for surveillance of crowded public events Outlining the regulatory regime that governs the use of drones in the US, this article also explores the benefits of tethered over wireless drones during sports events, parades, festivals and other crowded public events. With anti-drone tech on the market, why was Gatwick Airport so unprepared?